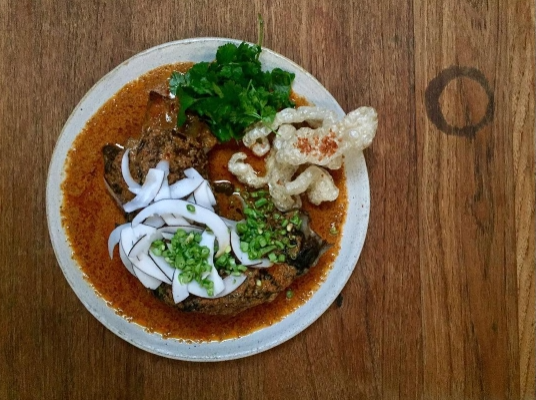 A Thai Barbecue Bar, inspired by the late night canteens of Bangkok. Rare Breed Meats, Day Boat Fish and Seafood are sourced from small suppliers in the UK. 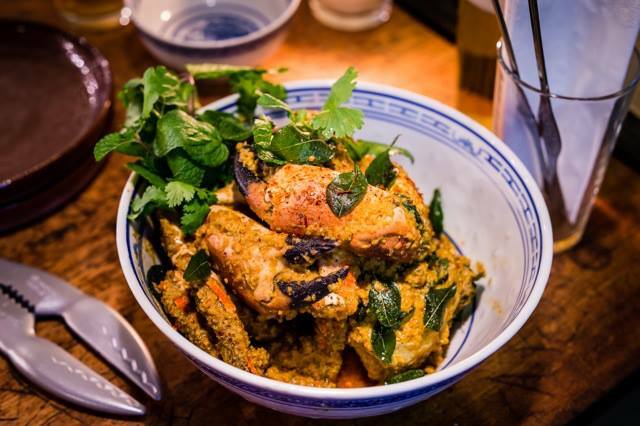 Thai herbs and vegetables are grown in Cornwall and imported with care. We had a massive group at Smoking Goat and it was phenomenal. I thought the banquet menu was great value and everyone loved the dishes and wines available. Would go back in a heartbeat. Our server was awesome too, I can't recall their name. Gorgeous food! good value for money also. Superb friendly service in a relaxed cool restaurant. Flavour explosion with the food. Absolutely the best roti I have ever had. Great food but we had to wait a bit to get served at the beginning. Service was great...try everything. The beetroot rice especially good. Food was amazing, great atmosphere. Perfect for celebrating a birthday with a group of friends - the feast was delicious and great value. Great lunch. Kiln is one of my favourite restaurants so I was keen to try Smoking Goat. I really enjoyed it just as much. Only downside was a bit chilly with the fans going on above. Amazing food, great atmosphere and perfect service. Food was delicious, all dishes ordered were pretty good. However the tables were very small and not quite equip to deal with the number of dishes (at least we ended up) ordered. Service was a little bit slow - but we were in no rush so wasn't a big problem. All the servers were helpful, food incredible! Service could have been better, food was fab but small portions for the price. If you like some food with your salt, this is the place for you. Service was ok, made more challenging by the tiny table we were seated at. Food either came out salty as all hell, or in the case of our lamb dish, more chilli than lamb. Drinks were plentiful and the staff kept us topped up, the bill came and we thought it was perfectly reasonable in that respect. The service was excellent, the food is delicious but quite pricey with small portion sizes! The cocktails are really tasty and very creative. It's very noisy and busy but that is part of the fun. Great location, simple decor, child friendly and would definitely go again but with a larger group, so that we could try the Feasting Menu. Great and different brunch at the Smoking Goat. It's now one of my favourite places to go for breakfast. 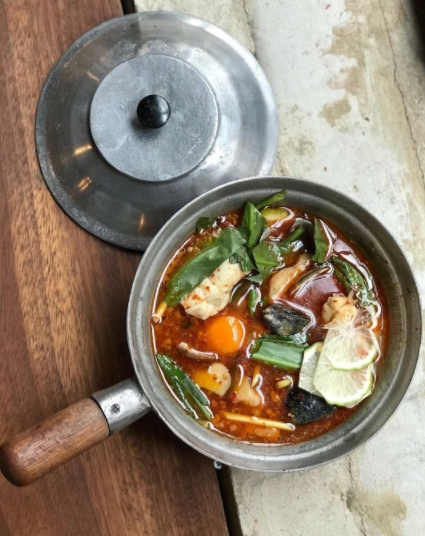 Everything we had (Massaman curry, Lardo Rice, Tamworth chop) was delicious, possibly the chop could have been seared a bit more (we had it like that at Kiln once before) but maybe that's a matter of personal preference. The 20 Jazz Funk Greats was very refreshing. Excellent cocktail names esp. Sun Ra ! Great food. We loved the lardo fried rice- would come back just for that. The massaman curry is incredible too. The Tamworth grilled chop and smoked shoulder are very very good- well cooked and flavoured. Five spice braised chicken was a bit of a let down; slightly too dry. Fab meal-second time we have visited and we love it. Had a lovely lunch, great service, lovely food and nice cocktails. Love the cold beer glasses and 2/3 pint servings. Fantastic, great service from booking through to the end. Everyone in our group loved the food and had a great time. Great team at the front and in the kitchen. 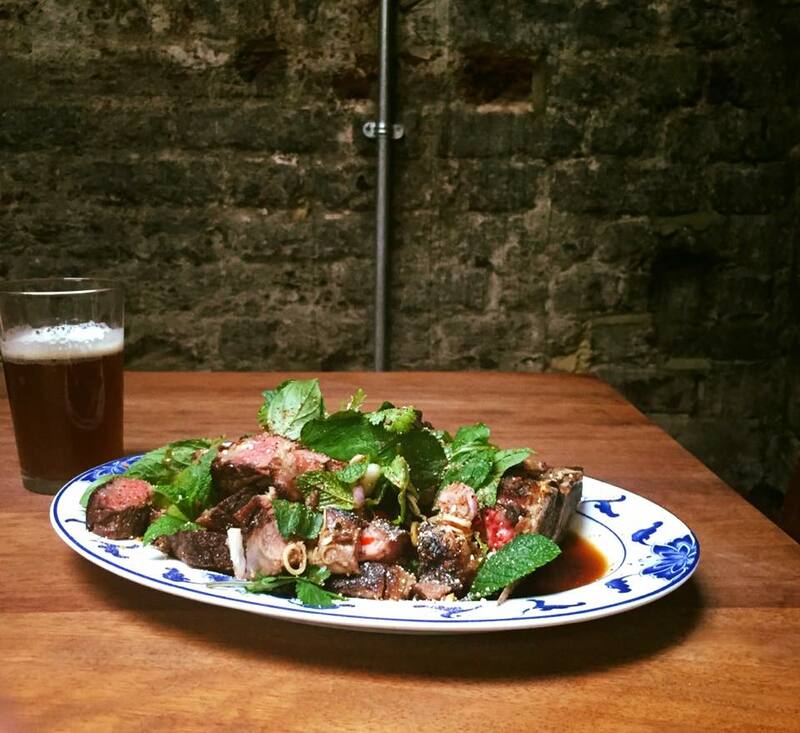 We’ve been to many places around Shoreditch for our team lunches and Smoking Goat has beat them all so far. Just a couple of small gripes about the drinks, glasses were a bit small and contained too much ice but staff were happy enough to leave out the ice at our request. We had the chicken feast and the chicken breast was a bit dry making it a bit tough to eat but the rest of the food was excellent. The team also accommodated those who didn’t eat pork by providing an alternative. What a fantastic team. 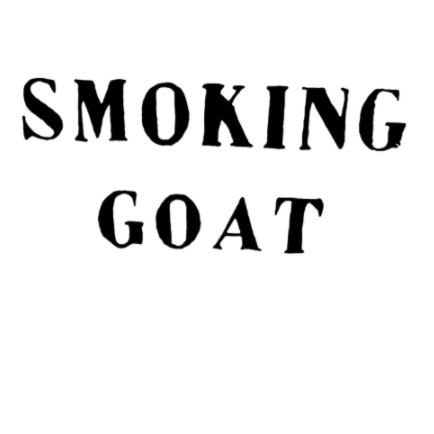 Well done Smoking Goat! Will definitely be going back!